The primary point of objection as pointed out in the letters exchanged with the secretary of the society was his thought that “It is not possible to break Caste without annihilating the religious notions on which it, the Caste system, is founded.” And as the society requested that at least the word “Veda” should be left out but Dr. Ambedkar refused to change even a comma. To Ambedkar, inter-caste dinners and inter-caste marriages were not the solutions but an altogether destruction of the religious notions on which caste was found. Dr. Ambedkar quotes Ramdas that an Antyaja (Untouchable) can’t be a Guru even though he is learned as according to the Shastras (‘वर्णानां ब्राह्मणो गुरु’) only a Brahmin can be the Guru for the three varnas. Later, he says that the Hindus were looking for political reform without any social reform which is absurd as social reform is necessary for political reform. Thus, he contradicts with the views of W.C.Bonnerjee and laments the death of social conference within Congress. Dr. Ambedkar mentions how the Hindu community abhorred the untouchables, and he gives examples of how even the shadow of untouchables was a forbidden thing for the Hindus under the rule of Peshwas in Maratha. To avoid this, they were subjected to all sorts of torments. Similarly, he mentions how the Balais community of Indore were forced to flee their homeland due to unjust demands and exploitation by the Hindus. In Gujarat’s Kavitha region, the children of untouchables were forbidden to attend Government schools. Another incident, in the Chakwara region of Jaipur, he mentions how the untouchables were not considered even worthy of tasting ghee. These examples, Dr. Ambedkar, presented in his book to describe how the ostracization of the untouchables happens across the Indian region and in all sorts of dehumanizing ways. Just like one country is not fit to rule another country, Dr. Ambedkar believed that one class is not fit to rule another class. He calls for a reorganization and reconstruction of the Hindu society to abolish the caste system. 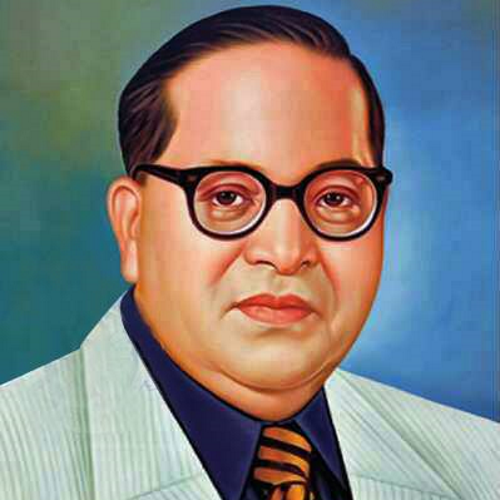 He quotes Ferdinand Lasalle “political constitutions have value and permanence only when they accurately express those conditions of forces which exist in practice within a society.” Dr. Ambedkar justifies the Communal Award on the basis that it withholds the principle that political constitution must take note of social organization. He gives examples of Ireland and Rome to elaborate upon his thoughts. He argues that the constitution of Republican Rome took into account the social division between the Patricians and the Plebians as they formed two distinct castes. Thus, he propounds that social and religious revolutions always precede political revolutions. To him, it was the case for the American War of Independence, the Muslim Empire, Sikhs, the Mauryas, and even Shivaji. Dr. Ambedkar elaborates further on the necessity of social reform for economic reform also. He questions the idealistic vision of economic equality by Indian socialists in which economic equality is the only source of justice. Dr. Ambedkar suggests that the monster of caste has equally pervaded the rich and the poor. And as long as the oppression of one social class by the other exists there can practically be no socialism. “Caste is not just a division of labour; it is a division of labourers.” By this, Dr. Ambedkar means that the caste system has segregated people and ignored the freedom of choice of a person to pursue an occupation of his/her own choice or even to change professions. People of a caste lower in the hierarchy are forced to join occupations that are considered degraded by the Hindus. Dr. Ambedkar also presents a scientific view that the notion of pure blood or race is wrong. It has been proved scientifically, that we are all a mixture of races. Further, he states that in India also, there is considerable variance in the castes characteristics from the north to the south. He considers caste as a social division in India and not a racial division. He further argues that the Caste system is also not following the principles of eugenics as it hinders judicious mating. The notions of sub-castes and the prohibitions and hostility that exists even within them are against eugenics. Thus, Dr. Ambedkar considers caste to be unscientific and a product of dark ages. He also believes that the caste system is against Hindu unity and people often further ask a Hindu his/her caste to know about the nature of that person. It prevents common activity among Hindus and hence hinders social unity as it bears an anti-social spirit. Dr. Ambedkar questions how the aboriginal tribes about 13 million in number were never considered for upliftment by the Hindu society. The reason, he argues, is caste which prohibits them from recognizing aboriginal tribes as their own. Also, he points out that the castes higher in the hierarchy have conspired to keep the lower castes down. It is a form of hypocrisy not to recognize this inherent meanness when a Hindu despises other religions as cruel. That, in the name of caste, reforms are hindered, and the Hindus stand divided. They follow leaders of their caste. The Caste system is hierarchal, divisive and solidified (in terms of choice of occupation), and therefore, opposed to the ideals of Liberty, Equality, and Fraternity. Dr. Ambedkar also warns against the principles of the varna system as propounded by the Arya Samajists. According to him, although, it considers that the varna is not based on birth but gunas (worth) of a person, yet it puts labels to a person as ‘Brahmin,’ ‘Kshatriya,’ ‘Vaishya‘ and ‘Shudra‘ which is not required. Caste is a state of mind, a notion, and the process of labelling triggers the same idea of hierarchal division. The Chaturvarnya system is quite challenging to be applicable in practice given the notions, hierarchy, and numeracy of the castes. It also doesn’t solve the problems of the women and would be the most vicious system for Shudras. Even in Shrutis, it is mentioned that the Brahmans and Kshatriyas were in a constant struggle. Hence, Dr. Ambedkar rejects the adoption of Chaturvarnya system as a solution. He considers the injunctions of Shastras including Vedas to be irrational. For example, the Manu Smriti, which Dr. Ambedkar cites too often has entirely unreasonable injunctions. Dr. Ambedkar even questions the fact that why cannot Shruti allegedly considered as the words of God be questioned and reasoned upon when they conflict with human ideas of liberty, equality, and fraternity. Dr. Ambedkar argues that religion plays a significant role in solidifying, maintaining the caste system among Hindus which is unlike other religions. Therefore, he suggests that the real key to destroying the Caste system is the rejection of the Shastras. Hindus are profoundly religious and hence, the caste system, despite being a demeaning practice survives. Dr. Ambedkar argues that Hindus should discard the irrational Shastras as the Buddha and Guru Nanak did. Later, Dr. Ambedkar cites the difference between rules and principle. Following a rule is mechanical while that a principle is conscious. He says that the Shastras are full of rules that the Hindus observe mechanically. Hence, he says he is not suggesting the destruction of the Hindu religion but reconstruction of the same where one can apply conscious principles and reject the rules given in any form of Shastras be it ‘Shruti’ or ‘Smriti’ if it doesn’t promote the ideals of Liberty, Equality, and Fraternity. Therefore, the Hindu religion needs to be an evolving religion rather than dead sets of rules. One of them, he suggests, could be that priesthood should be based on qualifications and not heredity. And they should come within the ambit of the disciplinary action of the state.